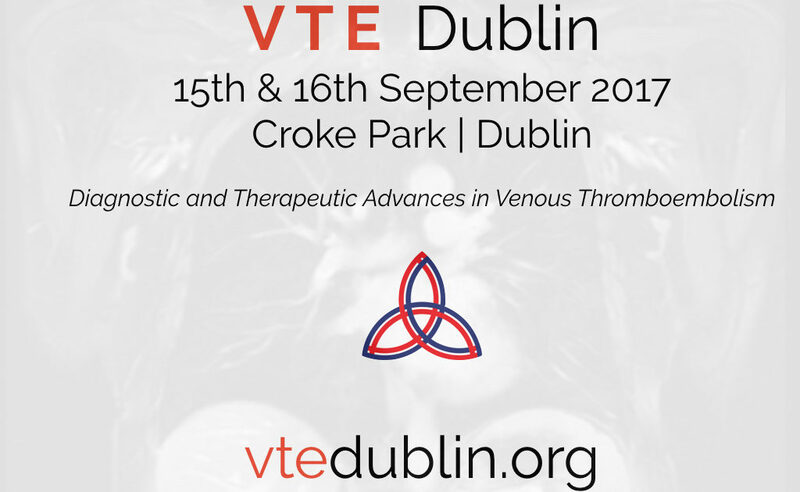 The event will bring world experts in the field of Thrombosis to Dublin. Venous thromboembolism (VTE) is a leading cause of death in cancer patients, is the third highest cardiovascular killer (after heart attack and stroke) and is the top direct cause of maternal death in the UK & Ireland. In a recent report VTE was responsible for approximately half a million deaths in Europe in one year. In addition, these annual conferences have been supported and endorsed by Science Foundation Ireland, German Society for Vascular Disease (DGA,) German society for Haemostasis and Thrombosis Research (GTH), and the European Pulmonary Hypertension Association (PHA Europe). Our stellar international and national faculty will be joined by registrants from around the globe. In 2015 Minister for Health, spoke of the massive worldwide burden imposed by VTE and described it as a leading cause of cardiovascular death in the western world, affecting approximately 1.5 million Europeans every year. Minister Varadkar highlighted data indicating that VTE remains a major (potentially preventable) cause of death and morbidity in pregnant and postpartum women worldwide and was identified as the top direct cause of maternal death in the UK and Ireland. Lectures delivered by Prof Beverley Hunt (London), Prof Stavros Konstantinide (Greece) and Dr Rachel Rosovsky (Boston) among others at the 2016 event galvanized action on VTE prevention, which led to the formation of a national VTE Clinical group, VTE Ireland.